Comment Editor, Adam Saraswati Rawlings, gives SCAN Fashion & Beauty a little of his love; trading all of his best cosmetics tips and tricks. So, tell us about your holy grails? 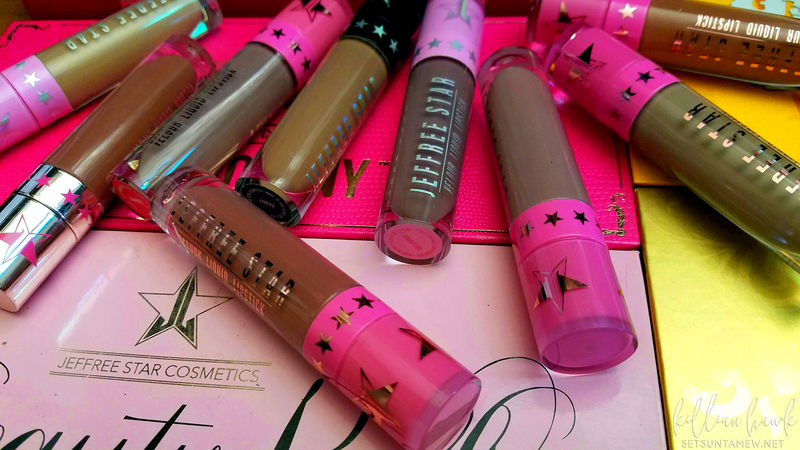 I’d say my holy grails are my Jeffree Star Cosmetics liquid lipsticks for sure. I love a full matte lip, and the pigment does not budge! The colour range is great too: Star offers shades from classic reds, all the way to more experimental, fun colours like greens, blues, and blacks. Other than that, I’d say my Anastasia Beverly Hills Dipbrow Pomade, it makes doing eyebrows such a simple job. 2. You are heading to a desert island and can only pack 5 cosmetics: go! I’d 100% go for a black lipstick because it’s a signature of mine, and I could also use it to do my Bindi. As well as that, I’d definitely take along my Blood Sugar Eyeshadow Palette from Jeffree because it’s the best formula I’ve ever used. My brow pomade, moisturiser, and Maybelline gel eyeliner too; they’re some fail-safes that have always worked for me, and would keep me sane! 3. Skincare routines are so popular these days, tell us about yours? For skincare I keep it simple. 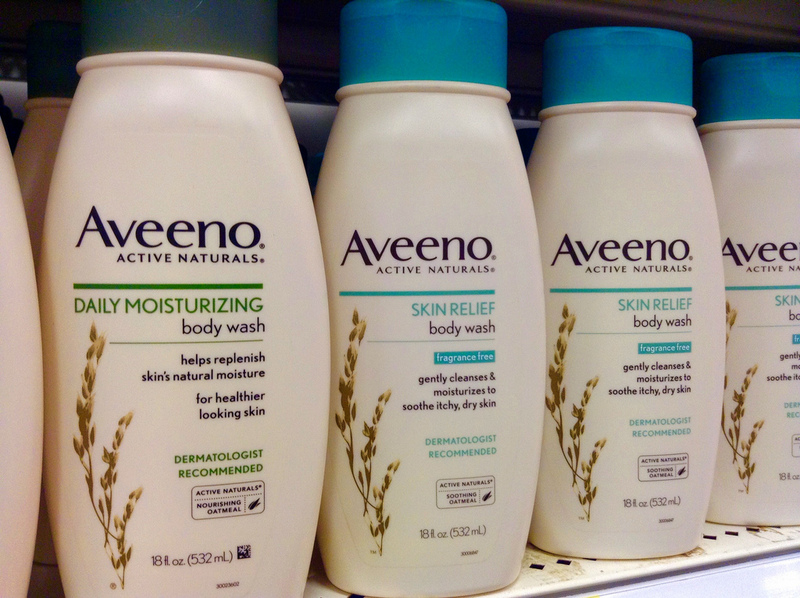 I have eczema-prone skin, so I apply Aveeno moisturiser twice a day; it is brilliant to keep the skin moisturised and fight off any dryness. I also use Hydromol ointment to take off my makeup which is lovely, because it leaves your skin feeling soft and happy instead of dry and tired like some other makeup removal does. Beyond that, I drink lots of water, take multivitamins, and use a sheet mask with lots of hyaluronic acid and collagen in it once a week. 4. Got any beauty hacks? A good little hack I have is using a brush to paint on my foundation, then blending it out with a beauty sponge. I find this is the best way to get a perfectly blended base without having your sponge eat up too much of your product. 5. Any products you wouldn’t recommend? The one product that comes to mind is the Morphe Continuous Setting Mist. I bought it as a cheaper alternative to my Urban Decay All Nighter Setting Spray, and whilst the Morphe version feels very nice as you spray it over your makeup, it does absolutely nothing to actually set the makeup. I feel as though it’s a major flop that online influencers only pushed for their promo codes. Full Glam or Natural? 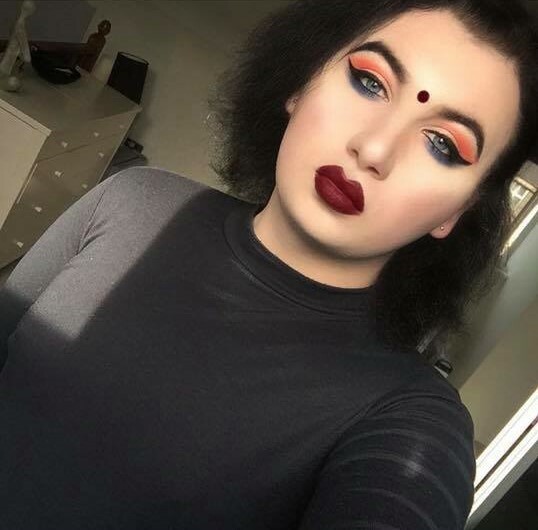 Full glam of course! Nothing about my look is natural. Moisturiser or Primer? Moisturiser is a must; it can almost function as a primer itself. Foundation or Concealer? Concealer, I need to cover up my hangovers. Eyeliner or Mascara? Eyeliner was my first makeup love, but I can’t pick between these two! Bronzer or Highlighter? Highlighter for sure. Lipstick or Lipgloss? Lipstick – I hate gloss with a passion. 7. Who is your biggest beauty influence? I’d say Jeffree Star is a major one for me; we have similar skin tones and both love fuller makeup looks. I also like to look at Hindu and Indian influencers, as emulating the beauty trends of my culture is something I love. Inspiration from old Hollywood film stars, such as Marilyn Monroe and Elizabeth Taylor, is also a source of personal inspiration. Got your eye on anything special? I think my next buy is going to have to be something Fenty Beauty. I’ve been pining for some of their stuff since they launched, but I always end up getting side-tracked by lipsticks. I think I’ll reach for some of their base makeup as my next purchase. Other than that, I’m interested to try out more new brands – there’s so many new things coming out it’s hard to keep up with everything.